3dBi TNC MALE GSM GPRS HIGH Gain Signal Booster Antenna RG174 9 FEET Cable USA. 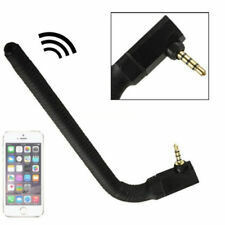 This magnetic antenna is perfect for people on the move who require a 3G connection. It is designed to sit on the roof of a car, mounted on a magnetic ground plate. 470101 - We Boost Home 4G Signal Booster. Condition is Used. Included is what is pictured. No other accessories are included. Tested and working. Trending at $230.49eBay determines this price through a machine learned model of the product's sale prices within the last 90 days. 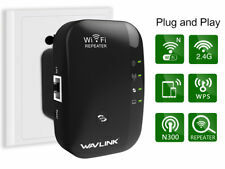 Wifi Repeater, the newest chip set technology can extend your wifi signal to your house,office, improving Wireless coverage in all WLAN Networks so that you can use WiFi in bathroom, balcony and kitchen without lag and buffering. All Digital Simultaneous Voice and Data 3G/4G/LTE (Dual Band MHz 1700,1900. Reduce Dropped Calls and Dead Zones. All you need is 1 bar. ). Easy to install, enhance the digital/analogue signal and strength signal quality. Input Impedance:50 Ohms. Connector Type:3.5mm. Rated Power:50W. HJCINTL PLX-BA70, Cell Phone Signal Booster Plus Outdoor Antenna Panel. Shipped with USPS Priority Mail. Single band 700MHz 65dB. 1 65dB 700MHz Single Band Repeater. This signal booster only for 4G LTE Verizon. Ultra-Low Noise Receiver. How does it work?. Can I use the signal booster when the outdoor signal has 0 bar?. 1 x 850MHz Repeater. - 1 x Outdoor Yagi Antenna with 10m Cable. The repeater device features easy installation & operation, build-in indoor antenna and no interference. - 1 x Ceiling Antenna with 3m Cable. Trending at $49.69eBay determines this price through a machine learned model of the product's sale prices within the last 90 days. 1 x Cell phone signal amplifier 1 x US Plug 2 x Antenna. - Output powder: DC 5V-2A. - Input power: AC 100~240V, 50~60Hz. - Power adapter: US plug. - Cable length: 10m. 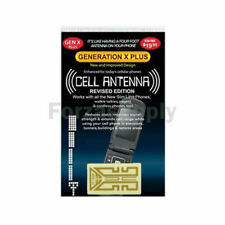 - Can effectively expand the coverage area, without the interference of base station. 4G LTE AT&T Signal Booster Band 12/17 Cell Phone Signal Amplifier Reapter 700mhz. This Signal Booster function for strengthen the Cell Phone Data upload and download, and Calling voice quality. Model : AT&T 700mhz. NETWORD EXTENDER. POWER CORD. ETHERNET CABLE. ALC function enables to lower the output power to preset max. level automatically while the output power exceeds the max. output power. All carriers run their services on multiple frequencies, for example, your carrier runs your service on 700MHz, 850MHz, 1700MHz and 1900MHz, but only runs your service on 700MHz and 1700MHz in your area, this booster is wrong to you. Wilson weBoost Home 4G Cell Phone Booster Kit - U470001. Condition is Used. Comes with all accessory’s accept power cord. Please note that power cord in photo is not original and the correct one will need to be purchased. Outdoor antenna shows signs of wear and discoloration. Tested and fully functional. Selling as is. HJCINTL PLX-BA70, Cell Phone Signal Booster Plus Outdoor Antenna Panel. Condition is Lightly Used. Shipped with USPS Priority Mail. Single band 700MHz 65dB. 1 65dB 700MHz Single Band Repeater. This signal booster can only use for US 4G Verizon. How does it work?. Can I use the signal booster when the outdoor signal has 0 bar?. What do I need to know before ordering a signal booster?. Single band 850MHz 62dB. - Max Gain: 62dB±2dB 60dB±2dB. - 1 x CDMA 850mhz repeater. - 1 x Outdoor Yagi Antenna with Cable. - 1 x Yagi Antenna. Small Size, Light Weight, Beautiful Repeater. 3.High-Gain Linear Power,Ultra-Low Noise Receiver. Wilson SIGNALBOOST Dual Band Cellular / PCS 800/1900 MHz Signal Booster 811210. For consideration is one used Wilson Signal Booster. The unit has minor signs of previous use such as small scratches and chipped paint. The listing does not include a power supply or any other accessories. Only the unit pictured. Wilson 400 60' Ultra Low Loss Coaxial Cable 952360. N-Male connectors, similar to LMR 400 coax cable. Condition is New. Shipped with USPS Priority Mail. Verizon Samsung Network Extender SCS-2U01. Verizon Samsung Network Extender SCS-2U01.. Shipped with USPS Priority Mail. I bought this brand new and used for 18months. Works perfectly! 4.5 out of 5 stars - Verizon Samsung Network Extender SCS-2U01. 2 product ratings2 product ratings - Verizon Samsung Network Extender SCS-2U01. Signal using a small power cover-age within building will be more uniform, reduce the cost of inputs. The repeater works with two antennas (included in the kit). One is the indoor antenna which communicates with your cell phone or laptop data card, and another one is the outdoor antenna which communicates with the cell tower. It can improve both voice and data signals, the effect of dual band is better than single band(B13). Point the outdoor antenna towards a cell tower. Connect the coaxial cable from the outdoor antenna to the booster inside. When no user calls, the device works in standby mode, the uplink power amplifier is switched off, and the static power is decreased by 30%, so as to achieve the purpose of energy saving. 776 ~787 MHz. T-Mobile 9961 Personal 4G LTE Cellspot Cell Nokia Phone Signal Booster new. Condition is New. Reduces dropped calls and improves voice clarity. 3 out of 5 stars - T-Mobile 9961 Personal 4G LTE Cellspot Cell Nokia Phone Signal Booster new. 2 product ratings2 product ratings - T-Mobile 9961 Personal 4G LTE Cellspot Cell Nokia Phone Signal Booster new. 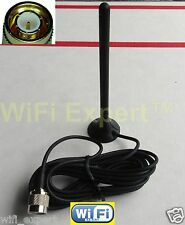 Wilson / weBoost 12" Magnet-Mount Antenna SMA Male | 311125. Lightning Surge Protectors. Authorized Wilson Dealer. weBoost / Wilson Signal Boosters. Connector SMA Male. Gain 700-800 MHz Gain: 1.9 dBi, 824-894 MHz Gain: 5.12 dBi, 880-960 MHz Gain: 3.1 dBi, 1850-1990 MHz Gain: 6.12 dBi, 2110-2170 MHz Gain: 2.3 dBi. More efficient antenna performance can increase battery life. Reach For a Stronger Signal. With a stronger signal, you can stay connected further away from a cell tower. Greater coverage. Better battery life. With this Signal Booster, It can Improve your Phone Data upload & download speed and reduce missed & dropped calls, You can enjoy a faster network experience. The inside coverage will be various base on the outside signal level, 1-2 bars can cover reach 500-800sq.